The winners of PitchFest from the Minneapolis College of Art and Design talk with Emily Reese about their winning projects on the Morning Show. Sommelier Jill Mott explains why wines from Alsace go well with food that has a lot of heat and salt. State Climatologist Luigi Romolo talks about the April snow storm heading to the Twin Cities in the middle of this week. Stephen Rueff and Connie Rutledge visited Jazz88 to talk about the creative venture competition "PitchFest" at Minneapolis College of Art and Design. Twin Cities Jazz Festival Comes to Crooners on Sunday March 31! 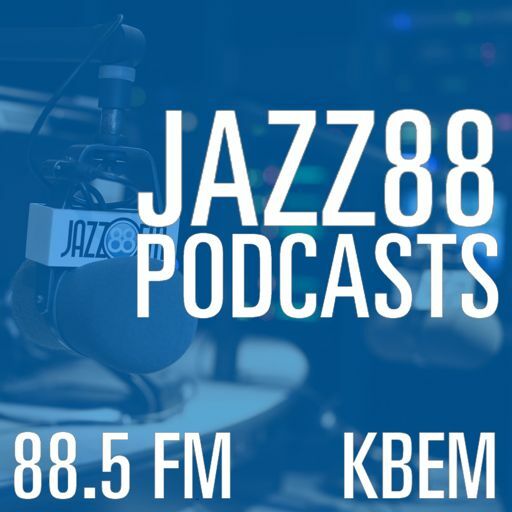 Sommelier Jill Mott stopped by Jazz88 to talk about her recipe for Irish Coffee, delicious grape varietals to try in the spring and how techniques in making wine change the characteristics of the drink. Pianist/organist Bobby Lyle chats with Emily Reese on the Morning Show about his upcoming shows at Crooners Lounge and Supper Club to celebrate his 75th birthday. Sommelier Jill Mott joins the Jazz88 Morning Show to talk about the lesser-appreciated B-Sides of wine and wine regions. State climatologist Luigi Romolo joins the Morning Show to talk about the cold start to March and the amount of snowpack found around Minnesota. Chef Gavin Kaysen talked with Jazz88's resident foodie, Matt Gundrum, about running three successful restaurants in the Twin Cities. Mac Jazz Mixes Old and New at its Jazz Central Studios concert, 7PM Friday March 1. Sommelier Jill Mott came to Jazz88 to talk about the drinking habits of U.S. Presidents in honor of President's Day. State Climatologist Luigi Romolo talks about the snow, and what climate factors differentiate a winter weather advisory from a winter storm. The Love Show has become a tradition on Valentine's Day at St. Kate's. Performer Dane Stauffer chatted with Jazz88's Emily Reese about the annual event. Pianist Richard Johnson and his trio will play the entire 1959 "Time Out" album from Dave Brubeck at Vieux-Carre this week. State Climatology Office: Let It Snow! State climatologist Luigi Romolo joined the Morning Show to talk about the coming snow, last week's polar vortex and how freezing rain forms. Sommelier Jill Mott came to Jazz88 to talk about how to buy wine, including what questions to ask, and how to describe what you're looking to buy, and why importers matter. Minnesota native and comedian Lizz Winstead talks about her annual Year In Review shows at the Cedar Cultural Center on New Year's Eve. Pianist Senri Oe stopped by Jazz88's Morning Show to talk about his upcoming show at MSP Airport and his 2018 album "Boys and Girls." Kyle Rucker of Ruck B Music stopped by the Jazz88 studios to talk about the work he does for music education in the community. He brought two young musicians along for the chat on Jazz88's Morning Show. Sommelier Jill Mott talks about the New California, upcoming classes she's teaching, and the Jura and Savoie regions of France live on Jazz88's Morning Show with Emily Reese. Clarinetist Evan Christopher plays at Vieux Carre to celebrate the tricentennial of New Orleans on Wednesday, Nov. 28. He stopped by Jazz88's studio to talk about the show and the city he calls home. Author Kristal Leebrick "Thank You For Shopping"
Tenor saxophonist Nelson Devereaux and his band played for us live in Jazz88's Studio 1, and then talked about his background and future as a musician. NYC jazz denizen dazzles the Atrium crowd at Orchestra Hall, Oct. 19, 2018. Genaro Vasquez hosts. The trio byerSelf combines jazz with poetry and visuals to create a unique musical experience, with Greg Byers on cello/bass, LA Buckner on drums/percussion and Javier Santiago on keys. Pianist Cameron Graves is bringing his trio to the Dakota Sunday, Nov. 4th at 7 p.m. He spoke with Jazz88's Emily Reese about the trio, the show, and his background. This year's honorees: drummer Bob Gilbertson, trumpeter Ahmed AbdulKarim, guitarist Reuben Ristrom, and the late vocalist/keyboardist, Jimmy Bowman. Composers JC Sanford and Asuka Kakitani talk about setting up the Twin Cities Jazz Composers Workshop and an upcoming gig with their big band, Inatnas, at Black Dog in Lowertown on Saturday, Sept. 22 at 8:30 p.m.
Pianist Cyrus Chestnut spoke with Jazz88's Emily Reese about his upcoming shows at Vieux Carre, coming up September 25 & 26 at 7 pm and 9 pm. Keith Frazier is a founding member of Rebirth Brass Band, a New Orleans band that encourages you to dance. Frazier talked with Jazz88's Emily Reese about their upcoming shows at the Dakota. Artistic Director of Rhythmically Speaking, Erinn Liebhard, talks about their annual show at The Southern Theater, opening Aug. 16, 2018. "Bonnie Raitt meets Alabama Shakes?" True or not, Hannah von der Hoff is a unique talent. She has a show Friday 7/13 at Aster. A video and single goes out this week and she gave us an exclusive preview. Founder of Slam Academy, J. Anthony Allen, and Recruitment Specialist Tanya Lano joined the Morning Show to talk about their summer classes for musicians interested in learning about production and DJ-ing. Brazilian pianist, singer, composer and arranger Eliane Elias will play at the Dakota Tues. May 1st with shows at 7:00 and 9:00. She spoke with Jazz88's Emily Reese about her new album and the upcoming performance. Twin Cities trio Rio Nido stopped by Jazz88 to perform during the Morning Show in advance of their show at the Dakota Friday, Apr. 27 at 7:00. A student from South High in an example of our School News feature. Two students from Whittier Elementary in a sample of our School News feature. St. Paul Mayor Melvin Carter stopped by Jazz88 to talk with Emily Reese about public safety, transportation and growth in the city. Actor and musician, Kasano Mwanza, talks about Chanhassen Dinner Theatre's performance of Disney's "Newsies" on Jazz88. Peter Brosius, the Artistic Director for Children's Theater Company, stopped by the Jazz88 studio to talk about two shows now playing at CTC. Trombonist, bandleader and producer Delfeayo Marsalis talks about his upcoming shows at the Dakota with the Uptown Jazz Orchestra, and his new, live album, "Kalamazoo," with Jazz88's Emily Reese. Peter Schilling from the Film Society of Minneapolis Saint Paul talks about the film DJANGO, opening today at St. Anthony Main. Jazz88's Janis Lane-Ewart spoke with saxophonist Wayne Shorter following Wednesday night's concert at the Panama Jazz Festival. Jazz88's Janis Lane-Ewart interviewed pianist Danilo Perez following a concert at the Panama Jazz Festival. Rio Nido stopped by the Jazz88 studio to perform "Tee Many Martoonis" in advance of their shows at the Dakota Dec. 27, 2017 at 7 PM and 9 PM. Vocal group Rio Nido came to Jazz88 to chat about their two Dakota shows coming up on Dec. 27, 2017. Jazz88's Development Officer, Janis Lane-Ewart, talks about pianist Willie Pickens III who passed away Dec. 13, 2017. Minnesota pianist/composer Joe Chouinard stopped by the Jazz88 studio to talk with Emily Reese about his new Christmas piano album. Jazz88's Kevin Barnes is celebrating String Theory's 20th anniversary with a show at the Dakota on Sunday, Nov. 12 from 4 PM - 6 PM. He chatted with Jazz88's Emily Reese about the celebration. Beginning Monday, Oct. 30, Jazz88 will broadcast a series of 2-minute features highlighting the stories of Minnesota's Vietnam Veterans. Producer Kevyn Burger joined the Morning Show to talk about her project. Velvet Caravan from Savannah, Georgia was in town to shake things up at Vieux Carre Wednesday. They also performed in Studio C.
Director and Founder of Trylon Cinema talks about their new expansion, and the special events planned for this weekend's grand re-opening. New Orleans clarinetist Evan Christopher plays a show in the Dunsmore Room at Crooners Lounge and Supper Club on Sunday, Sept. 24 at 7:30 PM. Roots musician extraordinaire chats with Bluesville's Kevin Barnes about his recent blues-oriented disc on the occasion of his August 2017 appearance in the Twin Cities. Douglas Stewart, producing artistic director of The Matchbox Theater, stopped by the Jazz88 studio to talk about their new space, the classes they offer, and their upcoming shows. Tiempo Libre Bohemia plays "Como Fue" in the Jazz 88 studio. Tiempo Libre Bohemia plays "Mambo influenciado" live at the Jazz 88 studio. Tiempo Libre stopped by the Jazz 88 studios to talk about their side project, a quartet called Bohemia, and their upcoming show at the Dakota. Vicki Emerson Wallace and Sarah Morris talk and perform live. Swedish trumpeter Oskar Stenmark talks about his first visit and performance at the Twin Cities Jazz Festival. Emily speaks with Pam McCreary and Patty Lammers, coordinators in St. Paul, about National Night Out. Founder and director of the Eclectic Edge Ensemble, Karis Sloss, talks about the group's upcoming jazz dance retelling of Shakespeare's A Midsummer Night's Dream. Andrea chats with Pianist Mary Louise Knutson re. women in jazz. Andrea Canter examines this week's top jazz dates, and visits with Kevin Welch of Boom Island Brewing, and Jesse Simon, who will be booking jazz there on Saturdays. WTF Is a five piece band from Minneapolis with Jazz and indie rock influences and stylings. Pianist Senri Oe was a big pop star in Japan when he traded it all in to move to New York and study jazz. He stopped by the studio for a chat with Emily Reese and to play a song. Pianist Kenny Werner talks about his upcoming show with the Chamber Music Society of Minnesota and explains what Third Stream music is. Pianist Marcus Roberts spoke with Emily Reese about his show at the Dakota May, 2017. Trumpeter Randy Brecker played Crooners May 3-4. Emily Reese spoke with him about the upcoming show.